AdPlugg ad service provides publishers with the ability to serve their own ads within the Facebook mobile app. San Diego, CA, 04/07/2016 — Publishers can now serve their own ads within the Facebook mobile app. Today, San Diego based online advertising company, AdPlugg, launched an integration feature with social media giant Facebook. The new integration gives publishers, of any size, the ability to run their own ads inside content published to their Facebook page. AdPlugg provides an ad manager and ad server system that is in use by over 7,500 publishers across the internet. It has become a popular online advertising solution for newspapers, radio stations, magazines and bloggers. Already adopted by major publishers such as CNN, BuzzFeed and the Washington Post; Facebook's Instant Articles system allows articles from third-party publishers to be viewed from within a special reader inside the Facebook mobile app. AdPlugg's new integration launch comes just days before Facebook intends to release its Instant Articles system to all publishers (Facebook intends to open up Instant Articles to all publishers on April 12th, 2016). To address publisher concerns regarding advertising and monetization, Facebook has allowed third party ad systems to integrate with the Facebook mobile app. AdPlugg is one of the first ad systems to provide such integration. AdPlugg CEO Collin Krawll remarked "Ad revenue is what drives the publishing industry, without the ability to continue to serve their ads, Instant Articles would not be a viable platform for most publishers". AdPlugg’s new Facebook Instant Articles integration piece allows publishers to continue to service their advertisers while expanding the accessibility and reach of their published content. Complementing the AdPlugg ad service, AdPlugg's WordPress plugin allows publishers to easily schedule, serve, and rotate ads on their WordPress sites. AdPlugg’s Facebook Instant Articles integration launch coincides with a major update to their WordPress plugin. The update allows publishers to choose which ads they want to include within content published to the Facebook app and allows them to schedule, rotate and target the ads. Based in San Diego, California, AdPlugg offers a simple but sophisticated plugin and service that allows web based publishers and advertisers to build their businesses. 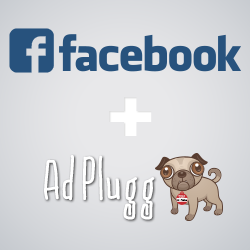 The AdPlugg advertising plugin installs instantly into any website opening up a myriad of controls, options and analytics available through adplugg.com. AdPlugg ads can be served directly to the publisher’s website or can now be served into the publisher’s content on platforms such as Facebook Instant Articles. AdPlugg, and the AdPlugg logo are trademarks of AdPlugg. Facebook is a registered trademark of Facebook, Inc.